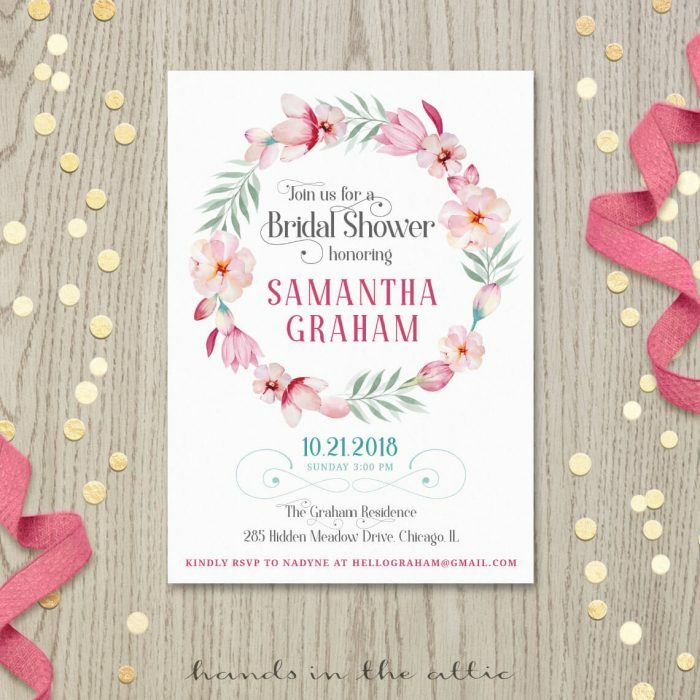 Choose an invitation from our collection of designs and we will customize it with your party details. 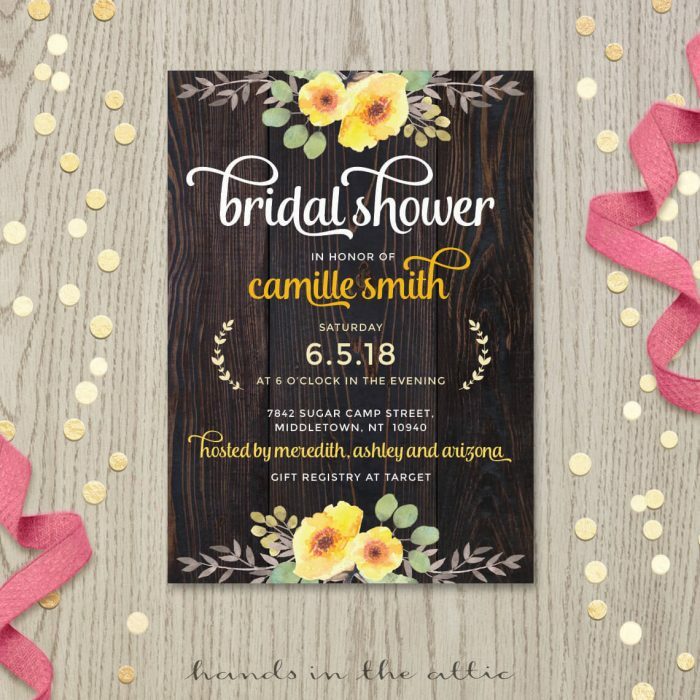 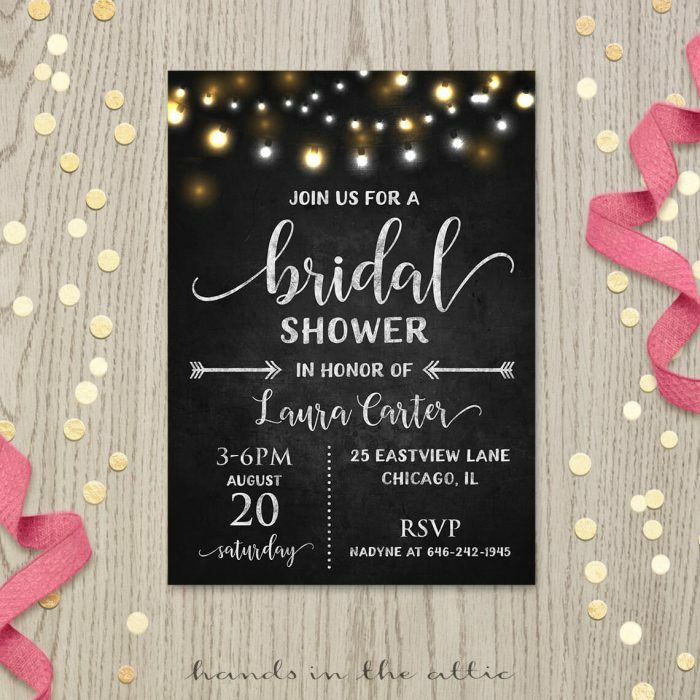 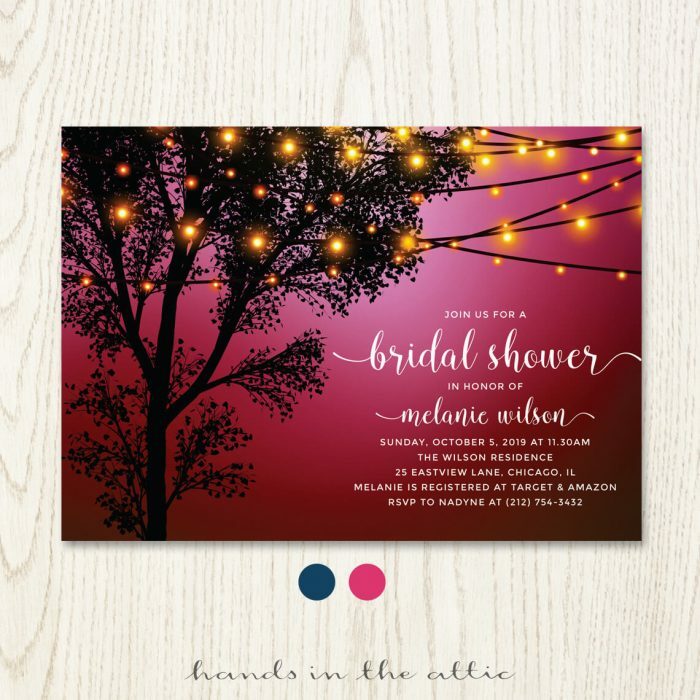 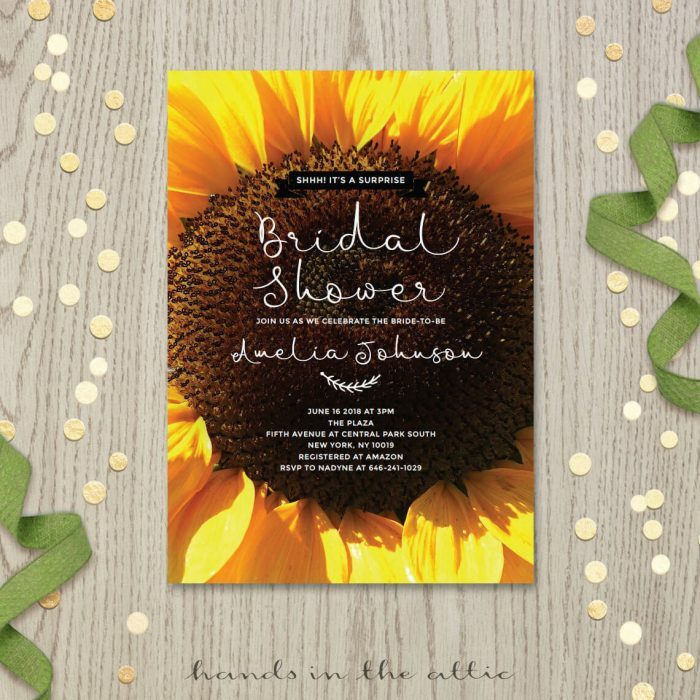 Bridal shower invitations are typically 5 x 7 inches or 4 x 6 inches, but if you have a unique size in mind, just let us know. 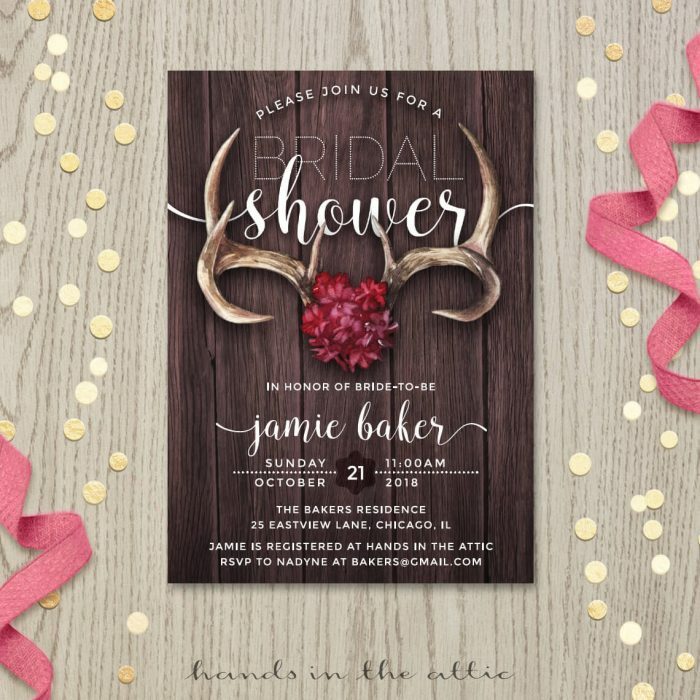 Your invitation will be emailed to you as a PDF file containing two invites per page. 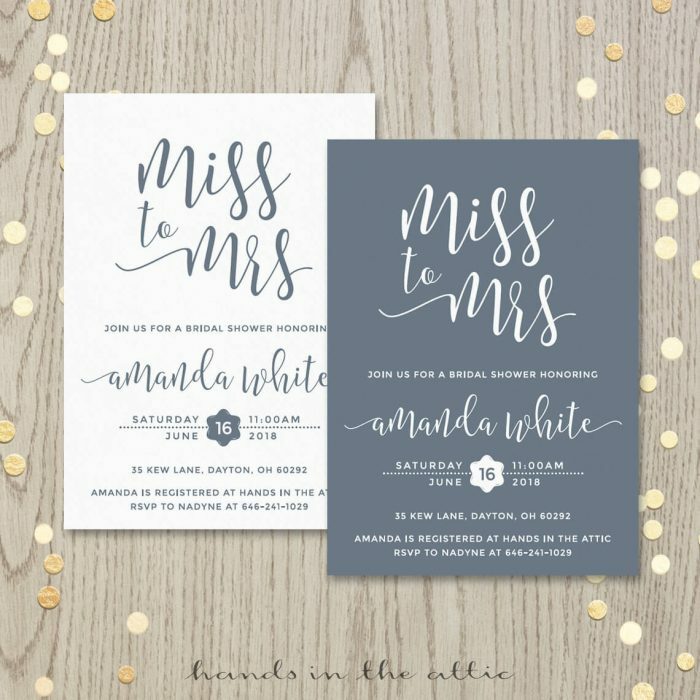 Print the PDF at home, or upload it to an online printing service such as FedEx or Staples. 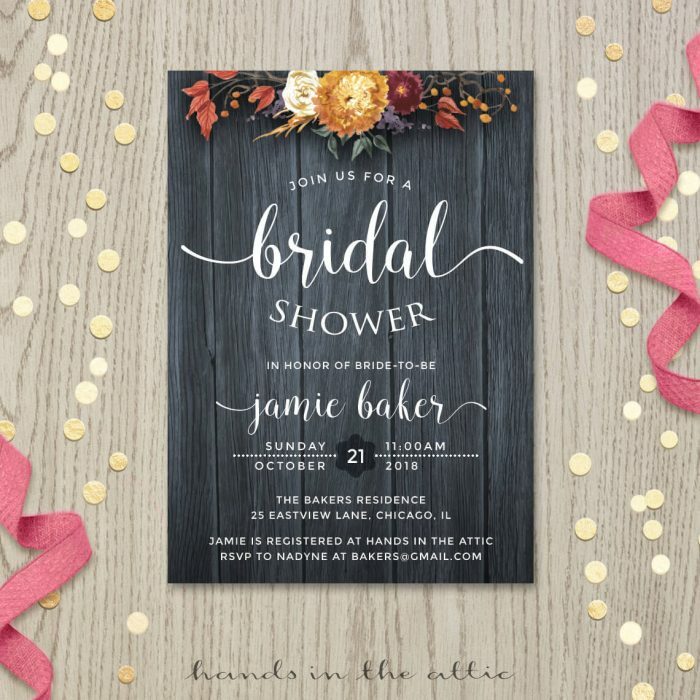 Once printed, cut them out using the guidelines.